The groom called an Uber to take them from Central Park (where they had the ceremony) to the Metropolitan Building in Long Island City. 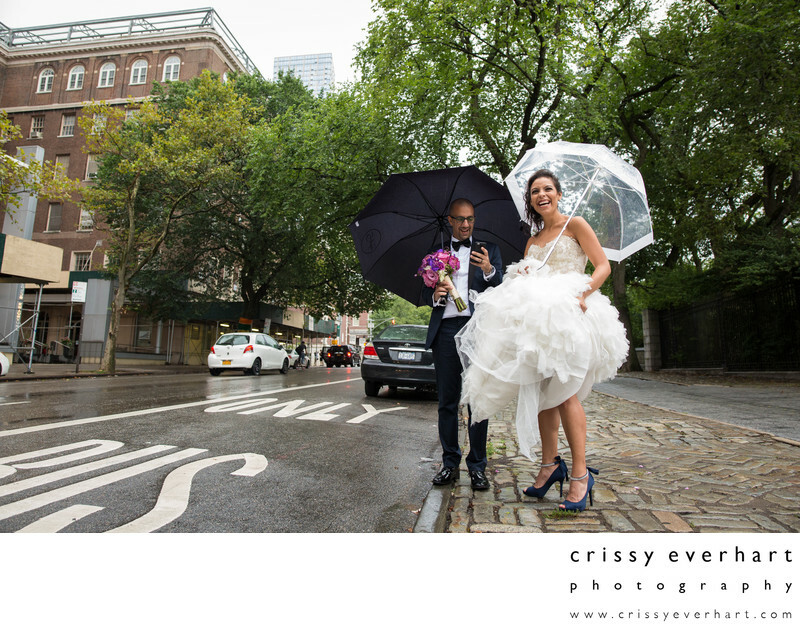 The bride giggled as each cab drove by as the groom tracked the Uber car. Eventually, they gave up and grabbed a yellow taxi. Location: 5th Ave, New York, NY 10029.